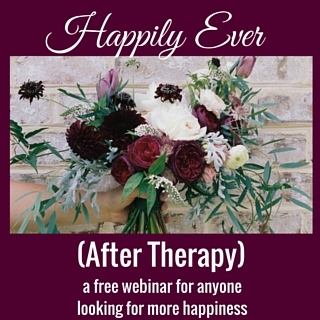 Do you find that you are overwhelmed with work, task lists, and obligations? Since you’re reading this, we can safely say you are alive and a member of today’s society, so your answer is likely yes. This month’s theme is all about play, not work, but in order for anything to be playful, we first have to have enough rest. 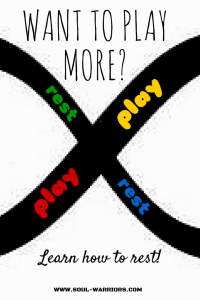 Martha Beck has a model of how all of life exists in an infinity loop of rest and play. 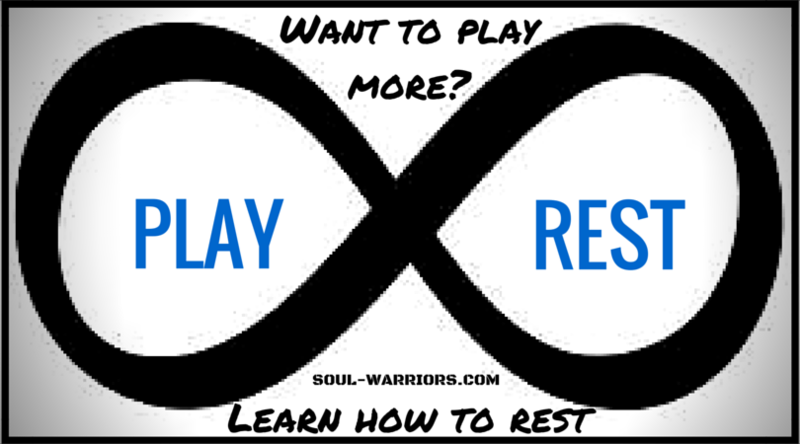 Meaning, you rest until you feel inspired to play, and you play until you are tired and desire rest. If you are very overworked at the moment, you might be ready to completely stop reading, assuming I’m so out of touch with your reality that there is no point in reading further. Despite the fact that I have been working or running errands since 10 minutes after I got up this morning, it still feels like play to me, because I’ve had enough rest. I got plenty of sleep last night, and I’ve given myself a deadline of when I am stopping work today, no matter what. With those parameters in place, I actually enjoyed going to Costco, getting gas, and cleaning out my trunk. When tired, I hate every single one of those tasks and they feel like some terrible burden. So this week’s “play” tip is pretty short and sweet – rest first. If you don’t feel like you have any possible way to add more rest, you might want to go back and see if you can’t transform your to-do list so you have some more space in your life. Second, it might be worthwhile to learn how to rest better (and, weirdly, how to rest faster.). If your vision of rest is hours and hours of laying on the beach while drinking a margarita or an uninterrupted night of sleep, you might not be able to fit that in for the next year, depending on your life circumstances. What you can do is learn to rest in small moments, in a deeper way that we’re used to. I’ve embedded Dan Howard’s video on Intentional Resting here for your convenience (it’s only 5 minutes and I promise it’s powerful! ), but I also highly recommend checking out his site, intentionalresting.com. In Dan’s words, “you can also experience rest while you’re awake during any activity, anytime, anywhere, day or night. Really.” Yes, really! Try it! It’s so worth the 5 minute investment to learn it! Huge thanks to Dan for making this method available to all of us! Rest up this week, so we can play for the rest of the month! How was the resting exercise for you? Leave a comment and let us know.